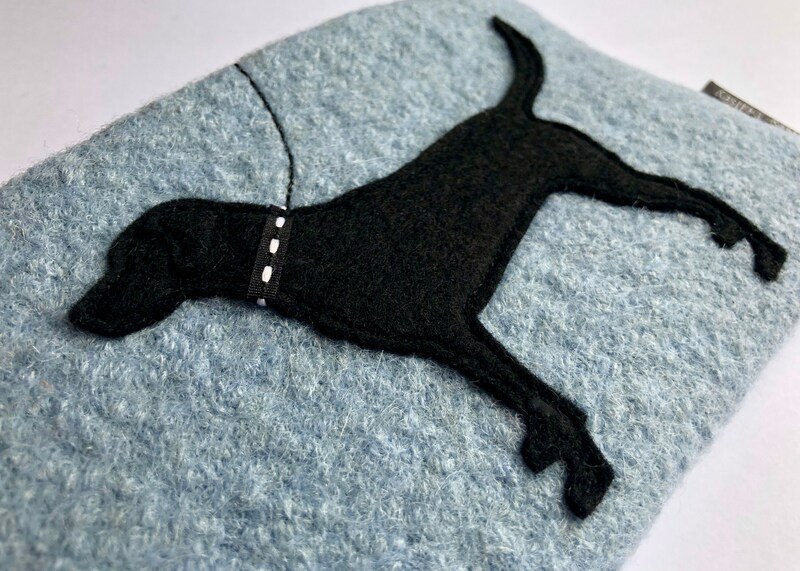 Black pure wool felt appliquéd Labrador on a rose pink or ice blue pure wool background with a coordinating zip,side tab and polka dot cotton lining. Black pure wool felt appliquéd Labrador on soft red melton background with a coordinating zip,side tab and red and black polka dot cotton lining. Chocolate brown pure wool felt appliquéd Labrador on a rose pink or ice blue pure wool background with a coordinating zip,side tab and polka dot cotton lining. Or a Beige pure wool felt appliquéd Labrador on a soft charcoal grey melton background with a coordinating zip,side tab and polka dot cotton lining.